1. Is the projector on? A solid green light indicated proper functioning on most projectors. Blinking reds or oranges indicate a projector issue. 1. Is mirroring on (click on the picture below for a bigger version)? 3. Macs all need adapters or “dongles” to project. 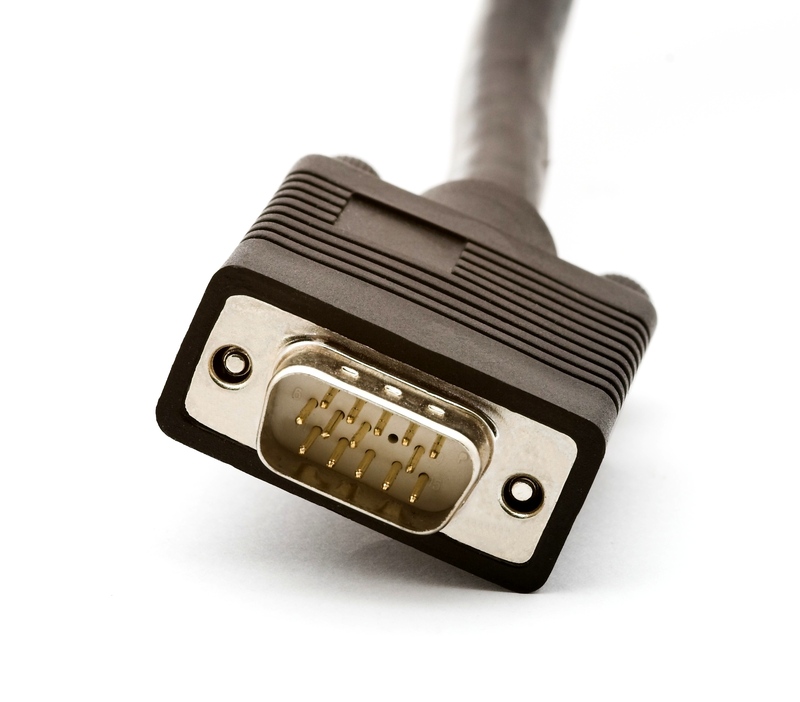 A common failure point is these adapters. Due to the stress put on them from the connecting cables internal connections eventually fail. Most times you will see odd colors before a total failure. Minimize or close all currently open windows. 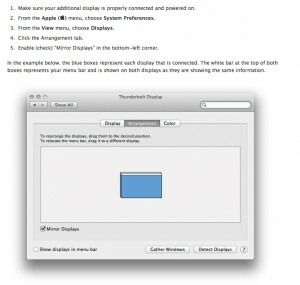 In the Display tab, select the resolution you would like to test. Test your web pages in the new resolution. 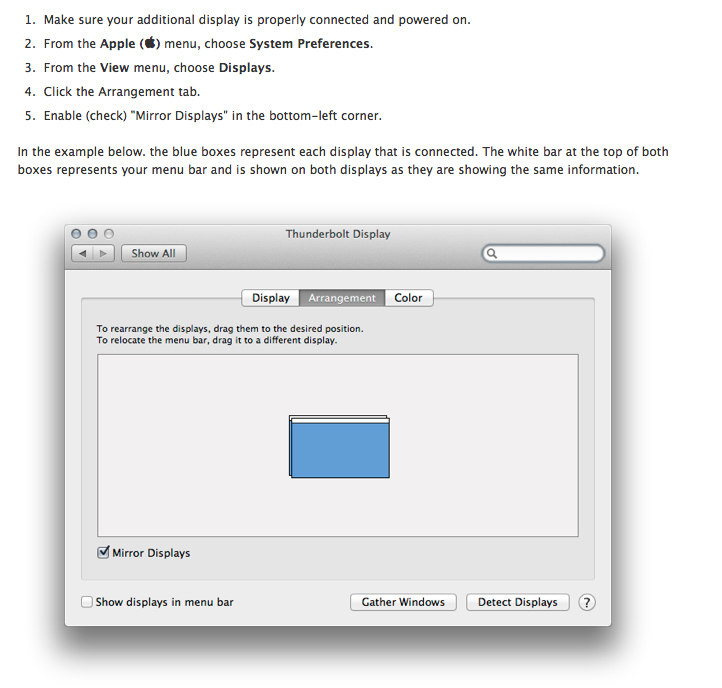 When you’re done, go back to the “Displays” window and change back to your preferred resolution. This entry was posted in LIS Staff Interest, Post for MiddPoints and tagged Classroom Technology, eNewsletter on April 5, 2013 by swit.